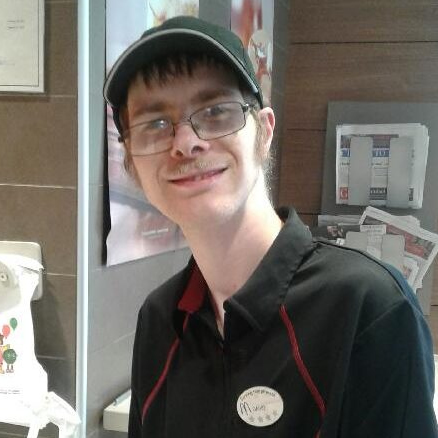 Before David started working at McDonalds he took some initiative and successfully completed his Safe Food Handling Course. This year David has also obtained his CPR/First Aid Course through the partnership of Employment Services and Link to Life Seminars. Other than David’s work success, he also swims, practices Martial Arts and is a part of the options BBQ and book clubs. We in Employment Services are very proud of David. His effort and enthusiasm is truly inspirational.